I’m in Auckland at the moment for our Stampin’ Up! conference which starts today! I’m very excited to find out what is coming out in our next annual catalogue. There are two things that I do know already that will be discontinued so I want to give you a heads up on that. The Big Shot die cutting machine – we will be getting our own version of a machine but its not ready yet either. If you are a Big Shot lover you might like to purchase some extra plates or other accessories while we still sell them. Our Paper Trimmer – we will get a new version eventually but its not ready yet. If you own the CURRENT trimmer, you may want to stock up on some blades and mats as they will not be available after June. They may even sell out before then. All items that accessorize these two crafting staples are while supplies last! If you own either the Stampin’ Trimmer or the Big Shot, stock up today on extra blades, standard cutting plates and platforms. The new dies that Stampin’ Up! is releasing on June 3 WILL work with the current Big Shot!!! Please contact me by email if you want to stock up on any of these or please visit my online store. If you would like to take advantage and stock up, please contact me to help you with your order. Stay tuned via my FB AMAC page for sneak peeks of what to come! 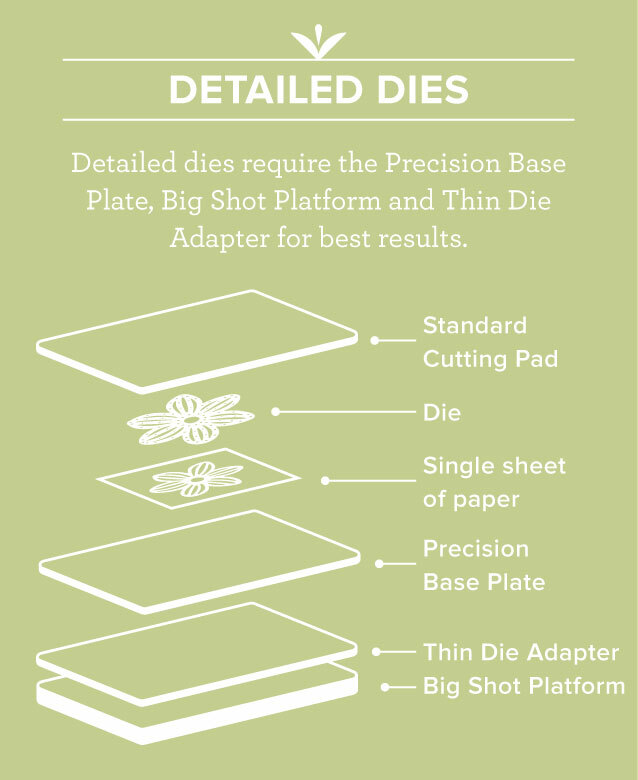 For anyone familiar with the Big Shot, you know that there are different types of dies. With the new Annual Catalogue, Stampin’ Up! 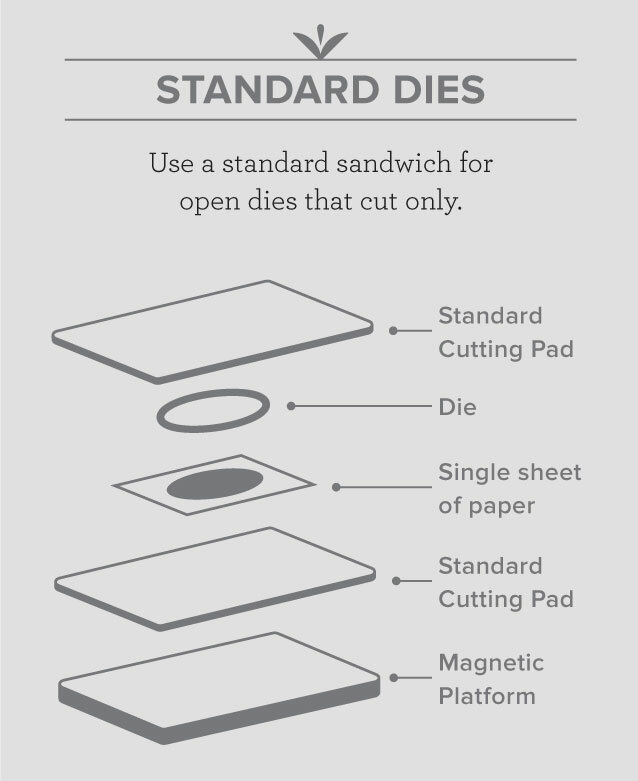 decided to create a system that will help you more easily navigate how to build your sandwiches for different types of dies in the Big Shot. 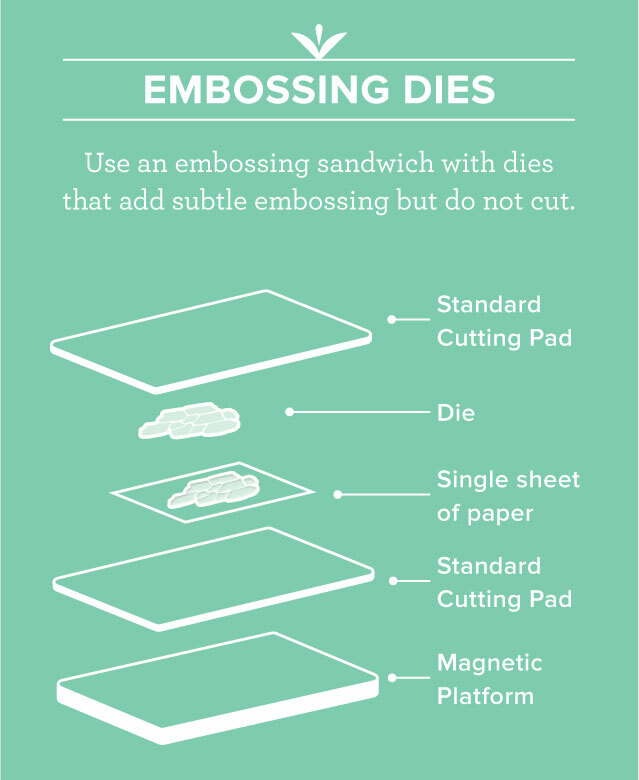 detailed dies that require extra accessories for best results. Die images are colour coded to indicate which type of sandwich to use.